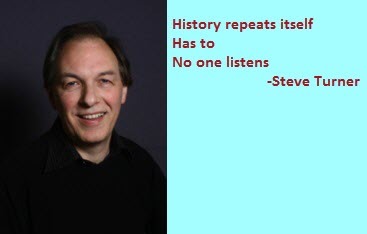 “History repeats itself.” I coined that! People advocate for animals in so many different ways, but ever popular is the protest. Make some signs. Alert the media. Congregate. Educate. Actually, protests went out of favor following 9/11. If you were objecting to pretty much anything happening in the United States, you were labeled anti-American. No surprise that the media played along. But protests are back. And that’s a good thing. What’s not so good is that young advocates – certainly in the animal rights movement but probably in many movements – fail to avail themselves of the knowledge and experience of those who stood on protest lines before them. And to some extent, that those who have gone before fail to share their wisdom with their successors. Not that the predecessors were infallible. Far from it. They made many mistakes. That’s the idea here. Let’s learn. Let’s register our lessons. Here are a couple. Focus on the Common. If I’m an animal counting on you to free me, and you’re letting some petty disagreement with a colleague consume your time and focus and energy… well, thanks but no thanks. You’re failing. Remember that handy fact we activists have wielded so consistently to advance our cause – the fact that humans and chimpanzees share 96% of their DNA? In the animal activism world, two people can share 96% of their philosophies, but the 4% that divides them – say one believes feral cats should be trapped and killed and the other believes feral cats should be trapped, neutered and released – this 4% is all too often what’s focused on. To the point where those two activists may never speak to one another again. Do you understand what I’m saying? If we want people to focus on our 96%, we better learn to focus on the 96%. Share the Wisdom. A recently created advocacy organization held a four-hour protest last weekend regarding a municipality’s plan to kill prairie dogs. That’s a good thing to protest. But four hours is too long. It spreads thin the turnout, which makes less of an impact in whatever media coverage they get. Plus it burns out the activists. Love. Participants also engaged in unpleasant exchanges with passersby. That’s not what the animals need. They need constructive exchanges. It’s pretty obvious when someone is trying to provoke a protester. It’s the protester’s job to not engage. It’s the organizer’s job to ensure the protesters know this. Think Big (Picture). Animal advocacy doesn’t happen in a vacuum. And the roots of animal suffering feed many other injustices. Poverty. Environmental racism. 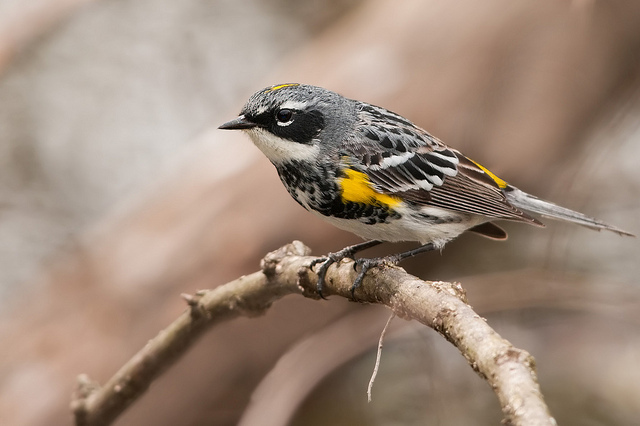 Habitat loss… The best hope for the animals is that we advocates recognize this. It’s tremendously empowering. Ours are not voices in the wilderness, after all. Fortunately, many good books have been written on effective advocacy. Here‘s a nice selection. What did us older activists learn from decades of prairie dog advocacy? A lot. Way too much to go into here. But we do need to organize that information and get it in front of the right people. It’s time for the animal rights movement to grow up. It’s time for each of us to do a little accounting and figure out what we can do better. So many animals have suffered because of our hubris and ineptitude. That has to stop. We’re better than that. And our cause is just! Posted on July 12, 2016 July 12, 2016 Categories Advocacy, WildlifeTags AnimalHelpNow, AnimalHelpNowApp, protestsLeave a comment on “History repeats itself.” I coined that! Your first clue that a bird in the road is alive is she’s moving or upright. Last week I was traveling with a friend on a highway in northeastern Iowa. I saw that dreaded “object” on the shoulder ahead, and as we approached I discerned a bird, and then I saw she was upright, just a foot or two from the road. We pulled over, and with t-shirt in hand I approached her, positioned myself between her and the road, and quickly captured her. A cardinal. Beautiful, she was, with her telltale tuft. Open your app, I said to my friend – an AHNow supporter. But he had removed it, so we opened it on my phone. The nearest help was across the Mississippi in Wisconsin. The person who answered the phone said she couldn’t accept birds from across state lines. I examined the results. The nearest Iowa rehabilitator was an hour-and-a-half drive in the wrong direction. The nearest Minnesota rehabilitator was two hours in the right direction. We got back on the road. And then I noticed the spot of blood on the t-shirt. She was bleeding slightly from her mouth. I googled “emergency vets” but the nearest one was a half hour away, in Minnesota. I called. The receptionist said by law Minnesota veterinarians cannot accept wildlife. We kept driving, unsure of our next move. 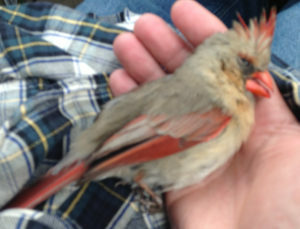 For more about cardinals, click here. But then the bird went limp. Her eyes showed no life. She was dead. We pulled over, and I placed her beneath a tree away from the road. What was her story?, I wondered. Did she have a mate? Had they been together for a year? Two years? Five? Did she have dependent young in the nest she’d built with him? Was he still alive, or had he also been killed on that treacherous path? The world needs more wildlife rehabilitators. States prohibitions against transporting wildlife across state lines should be re-examined. Minnesota should allow veterinarians to treat wildlife (if in fact that’s not already the case). It’s probably also true that several people chose to drive by that helpless bird, feeling they probably could do nothing. I’m not certain that my intervention didn’t add stress to the bird’s last half hour of life. I can only hope she sensed my intentions. Less than a week later I had a very different experience. Driving in Colorado Springs on busy Delmonico toward busier Rockrimmon, I noticed a tiny bird in the middle turn lane of the five-lane road. Again, this bird was upright, meaning I should act fast. I stopped my car, grabbed a cloth napkin that just happened to be within reach, got out and walked carefully toward the little bird, approaching from behind. Somehow all five lanes were quiet. I dropped the napkin over him, picked him up, and walked toward the nearest trees. He seemed OK. Just young. No sooner had I set him down on the grass a safe distance from the road than his father appeared, landing right next to us. I backed off quickly, seeing his mother also alight as I did. If he can just fly, I thought, things are going to be fine. The rescued bird was a fledgling yellow-rumped warbler. Photo of adult male, courtesy Kelly Colgan Azar. I scooted back to my car to get my phone for a picture, but when I returned – not 20 seconds later – everyone was gone. Just a little talk from the trees was all that remained. It was the perfect rescue. So very very different from the likely outcome had an observant and compassionate person not come along. I didn’t need Animal Help Now on this one. But I probably will on the next. There’s a 911 for Wildlife, So Why Aren’t More People Using It? 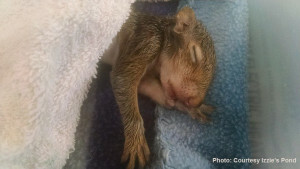 People who encounter injured or distressed wildlife often don’t know where to turn for help. Some go straight to 911. Some call their vet. Others call a national animal advocacy group or search the web for help. But Animal Help Now is a long way from being a part of the public consciousness the way 911 is for human emergencies. People will be visiting unhelpful websites or calling vets and animal orgs and law enforcement dispatch – and getting unacceptable assistance – for the foreseeable future. Every minute can matter during an emergency. Now, this isn’t an intractable problem. 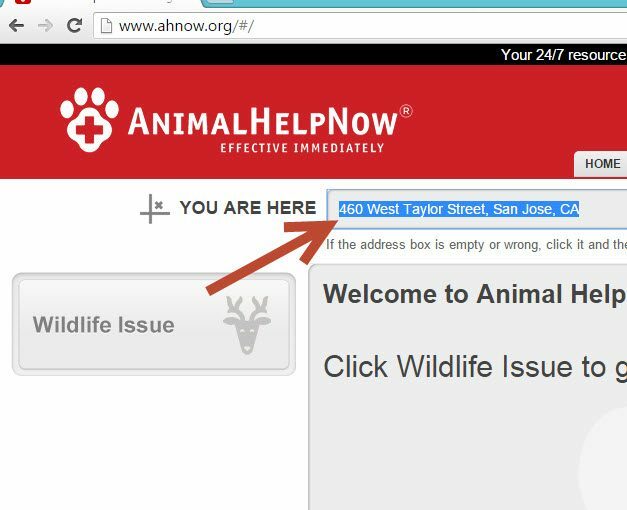 In fact, AHNow educates vet clinics, animal orgs, law enforcement dispatch and wildlife emergency professionals about how to use AHNow so they can in fact effectively assist people who visit their websites or call them about injured or distressed wildlife. Our latest effort in this regard is a six-minute video showing how to use Animal Help Now as a referral tool. 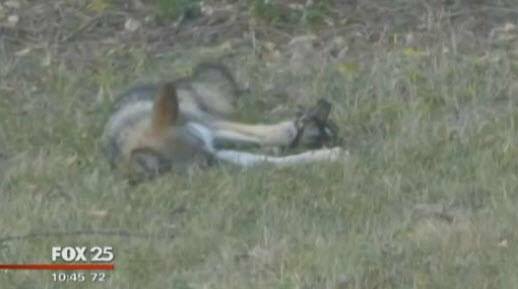 This video is a must-see for anyone who fields wildlife emergency calls. Do you know someone who works for a vet clinic, an animal advocacy organization, an animal shelter, a wildlife rehabilitation center, or an animal control or law enforcement dispatch agency? If so, please share this post or the video with them. In doing so, not only will you save lives and reduce animal suffering, you also will help these people do their jobs better and help increase awareness about Animal Help Now among the U.S. public. Knowing how to use Animal Help Now in a referral capacity is useful even for your everyday average member of the public, especially those of us who care about wildlife, because one day the phone may ring, with a friend contacting you for help with an injured wild animal. Posted on March 9, 2016 Categories UncategorizedTags 911, AnimalHelpNow, AnimalHelpNowApp, app, Injured Wildlife, vet techLeave a comment on There’s a 911 for Wildlife, So Why Aren’t More People Using It? 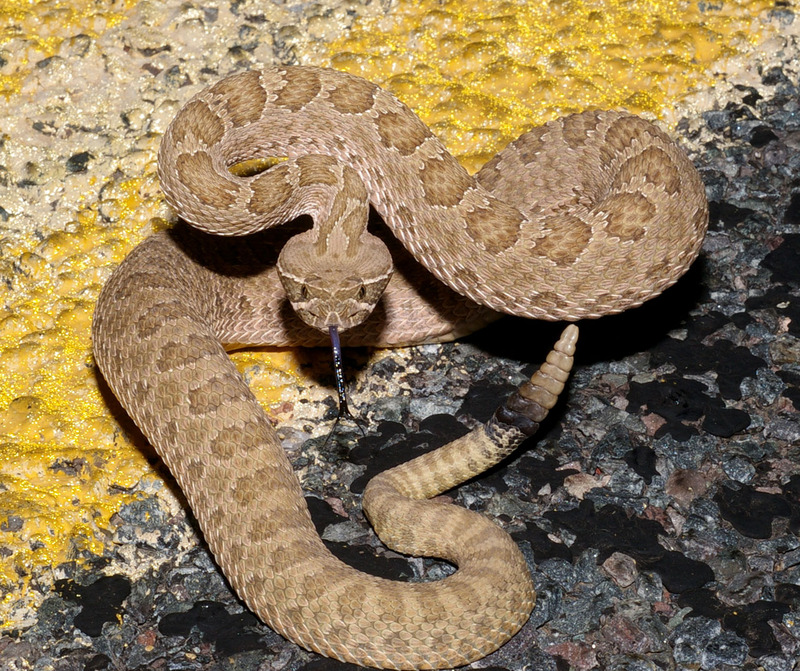 The Dallas/Fort Worth Wildlife Coalition Hotline receives dozens of calls every day. While the hotline volunteers can handle most of those, they do receive numerous inquiries from outside their service area. After all, people find the hotline through web searches, and so the calls do come in from Portland to Portland, and points in between. Other out-of-area calls require more work. And when a hotline staffer needs to find a rehabber in another area – say Portland, Maine – he or she is trained to use Animal Help Now to do just that. It’s easy. 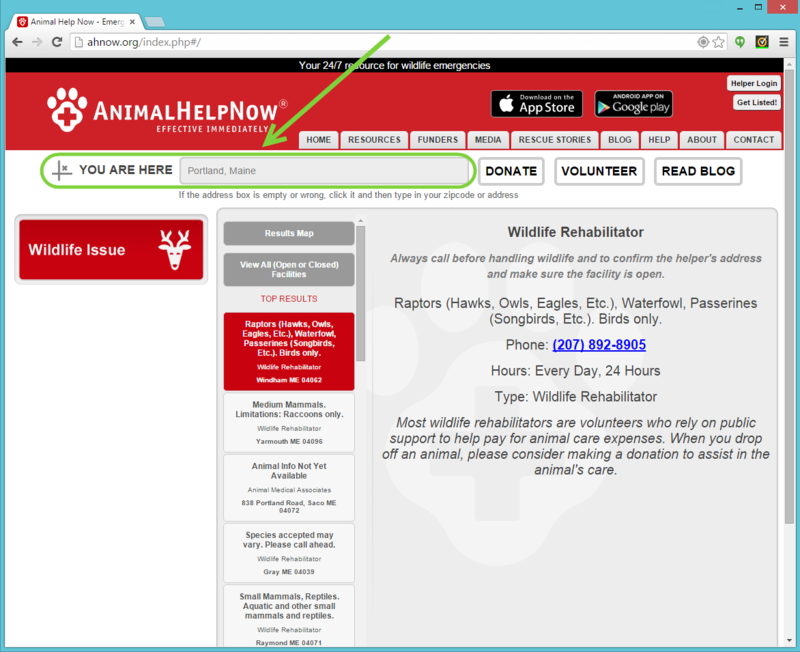 The staffer simply opens AnimalHelpNow.org, enters the caller’s address in the You Are Here box, and clicks Wildlife Issue. Of course, if the caller has web access, the hotline staffer can simply give the caller the Animal Help Now web address. As with other hotlines and many rehabilitation centers, the DFW Wildlife Coalition hotline provides the Animal Help Now URL on its outgoing message. Pretty nifty. Especially when compared with the alternative. Now we just need to get this tool into as many hands as possible. Please help us spread the word. Share this post with your neighborhood vet clinic, any municipal or county officials you know, and of course with your area wildlife rehabilitation centers. We’ll take care of the rest. Animal Help Now’s referral functionality is covered in its webinar for animal emergency professionals. The next scheduled webinar is December 7, 2015. Click here for more information. To view previously recorded webinars, visit our YouTube channel. This was 1998 or so. At the time I had a half hour commute between my home in Boulder, Colorado, and my workplace in Golden. Highway 93 provided a relatively quick shot between the two, with just three stoplights (where now there are eight). Still, the highway holds on to a bit of its wild feel, as it runs parallel to untrammeled foothills, with much of the in between land set aside as open space. I am minding my own business. I see a coiled up rope in the southbound lane. And then as I get closer the rope becomes a snake. A big snake. Big. I am not one to not help an animal in distress. I immediately pull over and run over toward the snake, thankful for the lull in southbound traffic. She doesn’t welcome my approach. A raised head. A rattle. I am H.I. in Raising Arizona after knocking Leonard Smalls off his Harley. Sick with the sudden reality of my situation. Over my head. Today – with much more traffic and with much less patience among the commuting public – a person probably couldn’t get away with what I did next. I step into the southbound lane and wave my hands at the oncoming traffic. The first car stops, and so do the cars behind it. “What is it?”, the driver of the lead car asks. A snake, my reply. A pause. “There are lots of snakes”, his eventual rejoinder. Yet he is willing to keep his car parked in the road while I attempt a rescue. Back at my Subaru, I hurriedly and ineffectively duct tape two golf clubs together. 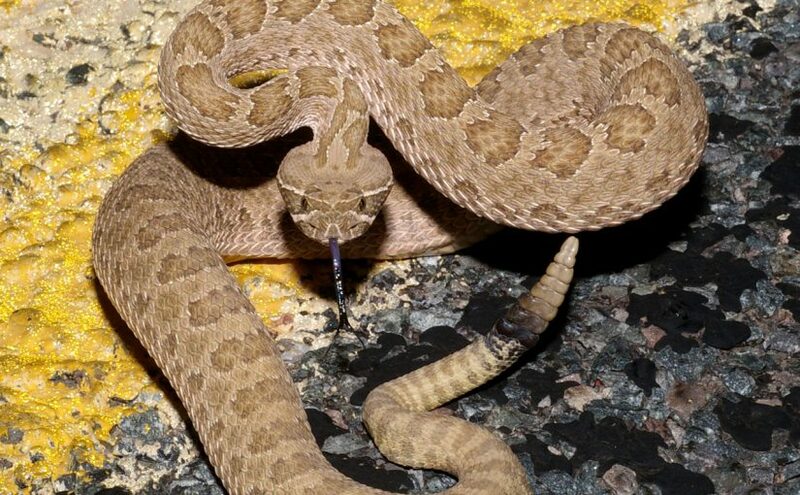 (According to the internet, rattlesnakes cannot jump, but they can lunge – about half the length of their bodies.) But it’s 1998, and I don’t know much about rattlesnakes. I wouldn’t believe they could jump, but I don’t know if I can outrun them. I approach warily. A northbound car slows. “What’s up?”, the driver asks helpfully. “Oh. OK.” And away he goes. Deep breath. To my right, the cars coming to a stop in a long and growing line. A honk. Another. To my left, curiosity slowing and occasional screeching tires. And then – a helper! Misery’s company. “What can I do?”, he yells, his car pulled over on the shoulder behind mine. Oh, thank you! I ask him to try to warn the northbound traffic to slow down. He grabs a large piece of cardboard from my open trunk and starts waving it. I’m an animal advocate, in case you didn’t already know. Nevertheless, he’s doing his job, standing on the center line, waving his sign, and I’m in the southbound lane yelling at the snake, pounding my feet, waving my arms and the golf club thing. I say, that’s not going to work. I’m at wit’s end. And then as if on cue the snake slowly uncoils and slithers off the road, to the west, into the open space, toward the foothills where she belongs. And the three of us watch, mesmerized. I’m always grateful to live in Boulder County and never more so than during giving season when AHNow participates in Colorado Gives Day, an annual statewide campaign to increase philanthropy through online donations. Last year, generous individuals and companies gave a record-breaking $26.2 million to 1,677 nonprofits on Colorado Gives Day. I hope all of our supporters will help make this year’s Colorado Gives Day, December 8, even more successful than last year’s by making a special donation and encouraging your friends, families and colleagues to do the same. It’s super easy to participate. You simply visit AHNow’s Colorado Gives page on December 8 (or any day between November 1 and December 8) and make your contribution. You can save two birds with one app by donating on December 1, #GivingTuesday, a global day of giving. As we approach this year’s season of giving back, I am incredibly grateful for every one in the Animal Help Now community – the donors, advisors, staff and volunteers – who are, like me, passionate about our mission to help injured and distressed animals by providing the public with immediate access to emergency care professionals. I cannot thank you enough. We love rodents! Now tell us a story. Winchester, VA, 10/6/15. David W writes: Last night some children found an injured squirrel and brought it to us for attention. I called the Blue Ridge Wildlife Center but their vet was out. I pulled up Animal Help Now on my iPad, found a local rehabilitator, called her and delivered the squirrel for safe keeping. Not sure if the squirrel will survive, as she has head trauma, but at least she is in a warm spot where she can get care and attention. Asked the Wildlife Center to put AHNow on their voice mail to help people get the right response to their wildlife emergencies. David got the help he needed. He set a good example for children and gave them a lesson in resourcefulness. He went the extra mile to make it easier for the next person to get help. We count this among our successes. 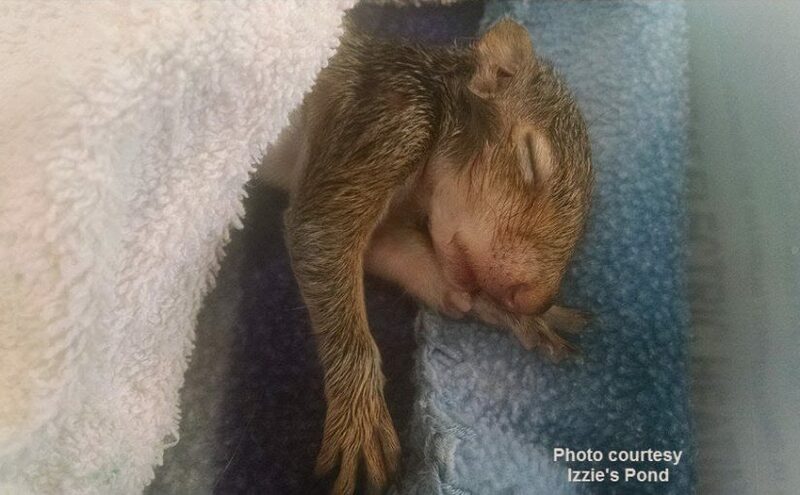 Even though this squirrel’s prognosis is not good, she was quickly provided care, so her suffering was minimized. We succeed when we save lives or reduce suffering. Sometimes a humane death is the most a rehabilitator or veterinary professional can provide. Imagine the alternative. Imagine, say, being in a bad car accident and having your would-be rescuers wringing their hands and staring at their shoes because they simply don’t know whom to call or what to do. Let’s hope this little rodent – and we love and respect rodents, from rats to prairie dogs to beavers – gets through this and once again finds herself among her squirrel friends, digging up nuts, chattering at dogs, and jumping from limb to limb in an oak tree. These things are, after all, her birthright. MA coyote in un-anchored leghold trap. In the past week Animal Help Now has been involved with an owl rescue in flooded South Carolina, a coyote in an unanchored and illegal leghold trap in Massachusetts, an infant wild hog rescued from a Texas slaughterhouse, and an injured duck in MO. And these are just the ones we know about, because they came to us by phone or Facebook. We are heartened that AHNow is becoming part of the wildlife emergency landscape. It can’t happen soon enough! The app continues to get scores of visits every day, in ever-increasing numbers. Still, there’s no easy way for us to get details on the hundreds of times AHNow is used each week. This is why it’s all the more important for you to take David’s lead and tell us your Animal Help Now story. Note: Animal Help Now is easy to find on the web and in the Apple and Android stores. For instructions on downloading Animal Help Now to your iPad, click here. Posted on October 7, 2015 Categories Emergency Services, Rodents, Squirrels, WildlifeTags AnimalHelpNow, AnimalHelpNowApp, SquirrelsLeave a comment on We love rodents! Now tell us a story.